I would like to personally invite all my students all over the world to the Bodhicharya Summer Camp in France (July 30 to August 5). I encourage all to come and join us if possible. I will try to present the essentials of Dharma that I understand and also make a support system through deeper social network so that they can work together and keep up the study and practice. 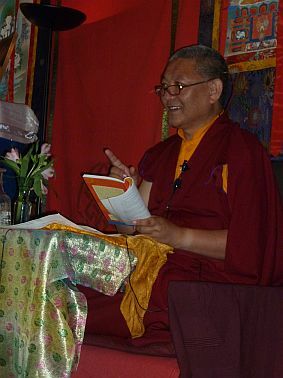 This entry was posted on May 12, 2011 at 10:05 pm and is filed under News, Ringu Tulku Rinpoche, Teachings. You can follow any responses to this entry through the RSS 2.0 feed. You can leave a response, or trackback from your own site.